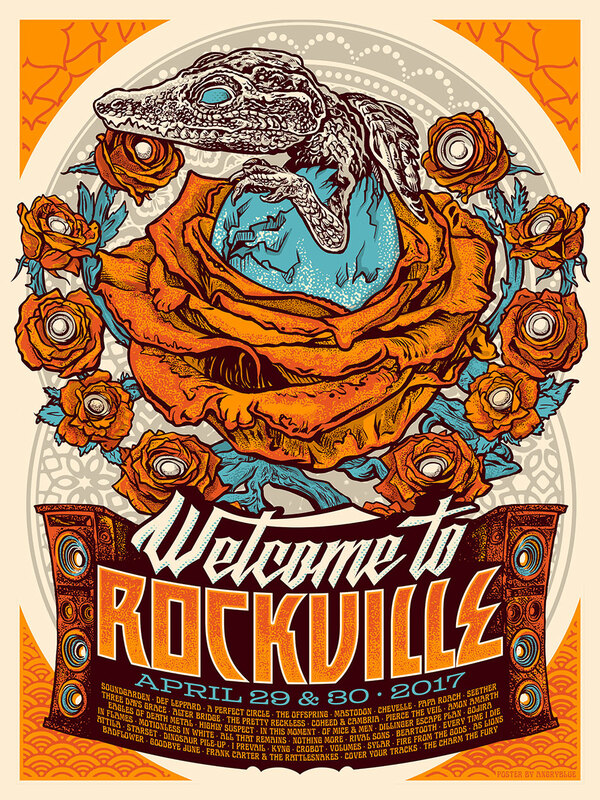 Welcome to Rockville is an annual music festival in Jacksonville, Florida. This is the poster is 5 colors and 18x24. I have 100 signed and numbered artist proofs available. Below are a few shots from the initial concept to the finished product. Initial colorway. The client wanted a more aggressive feel to it, so we switched it up to the red.